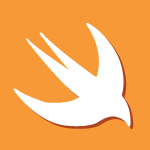 Today I’ll help you learn Swift in one video! All of the code follows the video below. We’ll cover Data Types, Casting, If, Ternary Operator, Switch, Range, Arrays, Tuples, Dictionaries, For, While, Functions, Variadic Parameters, Pointers, Inner Functions, Closures, Structs, Computed Properties, Static, Classes, Objects, Overloading, Inheritance, Dynamic Typing, Protocols, Extensions, Generics, Enums and more. // Logical Operators && || ! let ingredient = "pinto beans"
groceries = "Whole Wheat Flour"
var quote = "I dream of a better tomorrow, where chickens can cross the road and not be questioned about their motives." var str1: String = "happy"
var str2: String = "sad"
return "\(num1) * \(num2) = \(num1 * num2)"
return "\(absPace) min : \(seconds) sec"